“Which homes for sale near Rosedell Elementary School – Saugus CA would mean my children could attend this well scoring school?” Scroll down for school info. This is one of the most important of many questions parents ask when beginning their search for homes for sale near Rosedell Elementary School – Saugus CA. The school is located within the Saugus Union School District. Look without wasting your time. All homes for sale near Rosedell Elementary School – Saugus CA (link to page on web site). 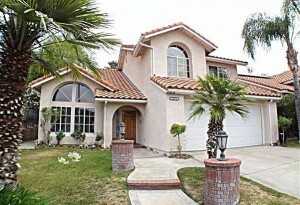 Page is constantly updated and includes homes in areas of Saugus CA. There are good reasons to look for homes for sale near Rosedell Elementary School. Click here for school website. Rosedell Elementary School is committed to equipping students with the tools they need for academic, personal and social achievement. Rosedell Elementary School enables every student to reach their highest potential by establishing a curriculum that meets or exceeds government standards for education; providing extracurricular programs that develop children’s’ mental, physical and social skills; and partnering with parents and the community to create an environment geared to the success of all students. Click here for Rosedell Elementary School ranking and test scores.